The world’s more than 100 other countries lumped together here as ‘rest of the world’ generate just 9.4% of global GDP. These include big countries with low per-capita GDP like Pakistan or Bangladesh, and countries that are relatively rich but too small to make the Top 40, such as Chile or Luxembourg. And, of course, countries that are both poor and small, like Cuba or Yemen. 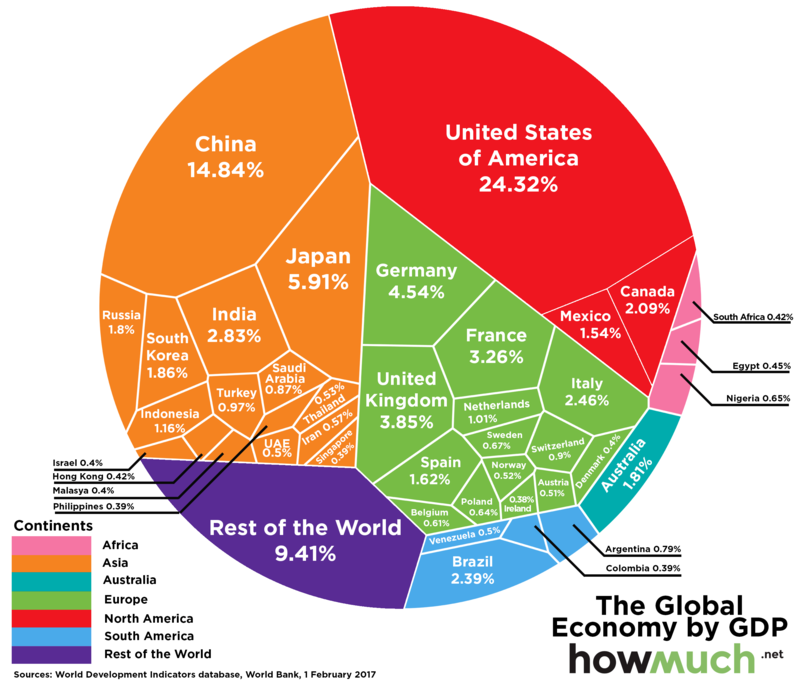 By a curious accident, the ‘Rest of the World’ produces just as much GDP as constitutes the gap between the U.S. and China. That is an awesome indication of the size of America’s advantage over China.